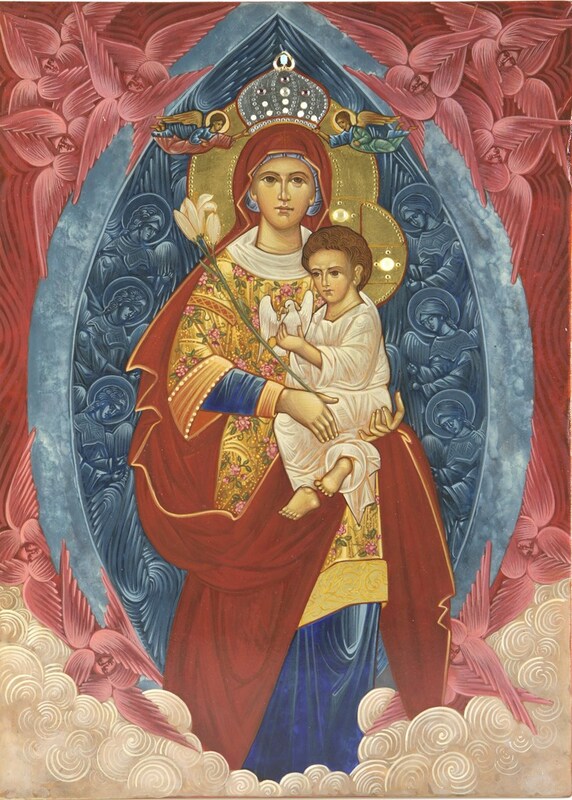 One of the various titles of Mary is Our Lady, Queen of Angels. When St. Francis founded his order, his headquarters was located in a little church near Assisi dedicated to Our Lady of Angels, nicknamed the Little Portion (Portiuncula). Ever since then, Franciscans have invoked our Lady’s help under this name. When the Irish Capuchin Friars came to America, they named their first parish, in Hermiston, Oregon, after Our Lady of Angels, and did the same with one of the first parishes in California, at Burlingame. It seemed only right, then, to name Our Lady of Angels patroness of the new province of Capuchins in Western America in 1979. In 2010, to mark the 100th anniversary of the arrival of the friars in the west, a pilgrim statue of Our Lady of Angels, Mother of Vocations, visited each of the friaries and is now located at Mission Santa Inés, in Solvang, California.